SSC JE 2018 Admit Card will be released after successful completion of online applications. The Admit Card of SSC JE 2018 will be released on sssc.nic.in. SSC will issue the admit card only those candidates who will fill the application form in time. Such candidates will able to download the admit card by providing the login credentials on the official website i. e. registration number and password. The mode of getting the admit card is online, apart from this no other mode will be available to download the same. The commission will release the admit card on the regional websites of SSC. Get here more details of SSC JE 2018 Admit Card like the process to download the admit card, exam pattern etc. 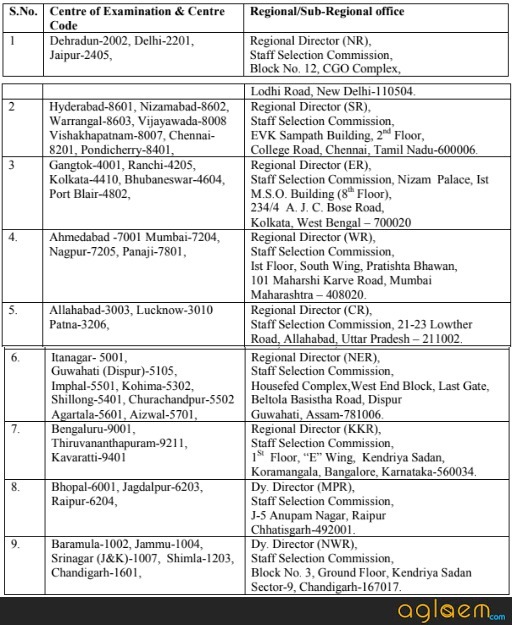 Every year SSC conducts two examinations to recruit Junior Engineers on Group ‘B’ Non-Gazetted posts in Civil, Mechanical, Electrical and Quantity Surveying & Contract. Paper 1 is a computer-based test, whereas Paper 2 a written examination. Hence, SSC issues the admit card twice in the recruitment. The dates of the exam have not been released yet. As soon as commission releases them we will update the page here. Admit Card: Candidates can check SSC JE Admit Card from ssc.nic.in. The candidates will able to download the admit card for the regional website of SSC. The links of region wise admit card is given here. It is clear that firstly SSC will release the admit card for paper – I, and after conduction of paper – I, it will issue the admit card for paper 2 to the qualifiers. The candidates who will fill the application form in time will able to download the admit card by following the provided details. 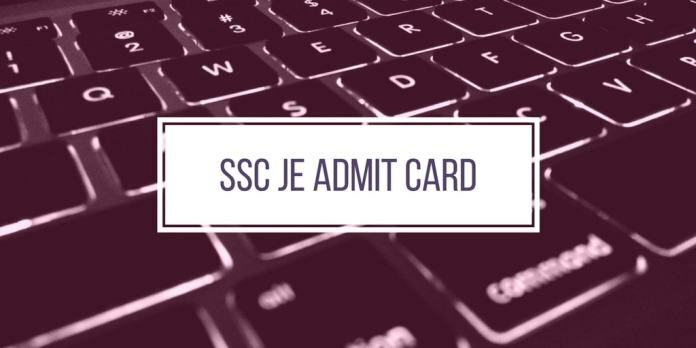 How to download the SSC JE 2018 Admit Card? Click on the appropriate link for correct Regional Centre. Click on the link for SSC JE 2018 Admit Card. Enter Roll Number and Date of Birth, in the required space. Check all the details on the admit card. Download the admit card of SSC JE 2018. If any candidate does not receive the admit card for the examination before the date of examination, immediately contact the concerned regional/sub-regional office(s) of the commission with details such as registration id, transaction id etc. for obtaining the admission certificates. Candidates should bring 3 passport size photographs for affixing it in the Commission’s copy of SSC Junior Engineer (JE) Admit Card 2018 in the presence of Invigilator. If you are not carrying photographs then will not get entry to the exam hall. It is also advisable to keep 10 copies of the same photograph until completion of the entire examination process to facilitate easy identification. Also along with the SSC JE Admit Card, the candidate should bring a valid photo id proof such as Driving License, Voter’s ID, Aadhaar Card, ID cards issued by Government or other Offices where the candidates may be working etc. The SSC JE 2018 will take place in different cities. The details of the exam center along with the regional office is given below for SSC JE 2018. These details are according to the last year brochure and may or may not be changed this year. Insofar, Dates of SSC JE 2018 has been announced. Information on this page is as per last year brochure and for reference purpose only. As soon as SSC releases Junior Engineering 2018 information brochure, details will be updated here.